Our range of folding and sliding doors (bi-fold doors) are designed and manufactured to the highest standard and are the most technically advanced systems on the market. Folding sliding doors will add versatility and style and with no barrier between your home and your garden will make socializing and entertaining more pleasurable. They can be fully or partially opened depending on the amount of space required. Once fully opened, doors neatly stack creating valuable new space and an ‘open plan’ living area. 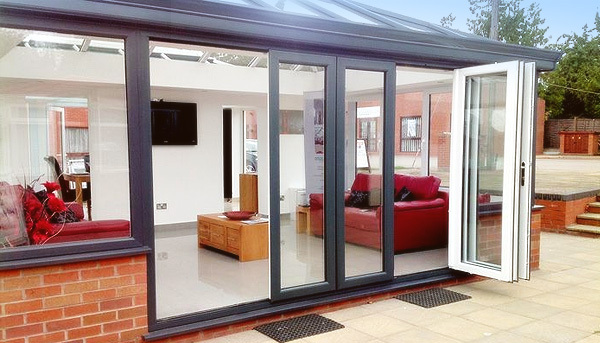 uPVC, Aluminum and Timber Bi-Fold Doors have an option of an aluminum low threshold. This is ideal if you want a level transition between two internal rooms or to create a seamless view from inside to outside. Our products are fitted with complementary door furniture in a choice of contemporary and traditional finishes. Take a look at the video below, and you’ll quickly see that the way the New Wave Door™ functions is quite different to standard uPVC sliding or folding doors. Because all the hardware is concealed, it has very clean lines, and is therefore very sleek and pleasing to the eye. Our video can only pay partial testimony to the engineering excellence of the uPVC New Wave Door – in the flesh it’s even better! There are many other benefits and features that gives the uPVC New Wave Door immense appeal. With innovative design, engineering excellence and operational simplicity, it truly is a massive step forward. 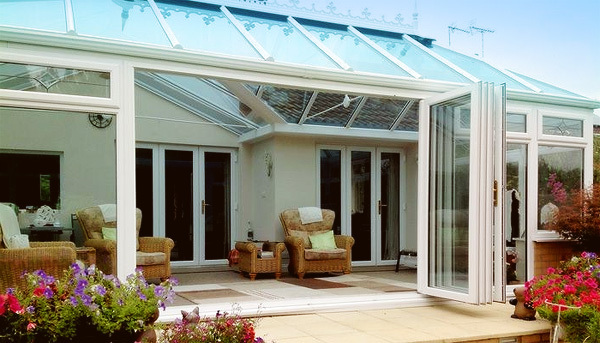 It frees homeowners and designers from the restraints of conventional patio and bi-folding doors. Delivering more scope, functionality and freedom, it empowers you to make the choices you want about your living space, uninhibited by spacial limitations. You will be free to create an almost seamless divide between the inside and outside world – a divide that is effortless in operation. The New Wave Door is far more practical and much more elegant than other door systems.